Daniele Paletta (he/him) has worked on media and communications for ILGA since June 2015. After years in the music business as a booking agent, he turned to freelance journalism: his articles have appeared on several newspapers, magazines and news sites in Italy. 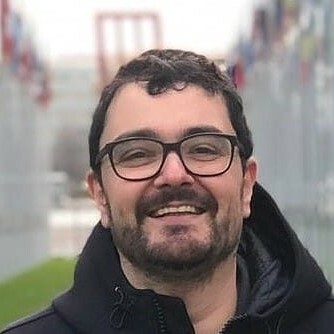 He also worked as a communications manager for a law firm supporting the UN Global Compact, and has published three books, all released by Vololibero Edizioni. In 2017, he contributed to a manual on digital strategies. He holds a Bachelor Degree in Communications at the University of Modena and Reggio Emilia, and a Master's Degree in Communications on Discography and Radio at the Università Cattolica del Sacro Cuore in Milan.